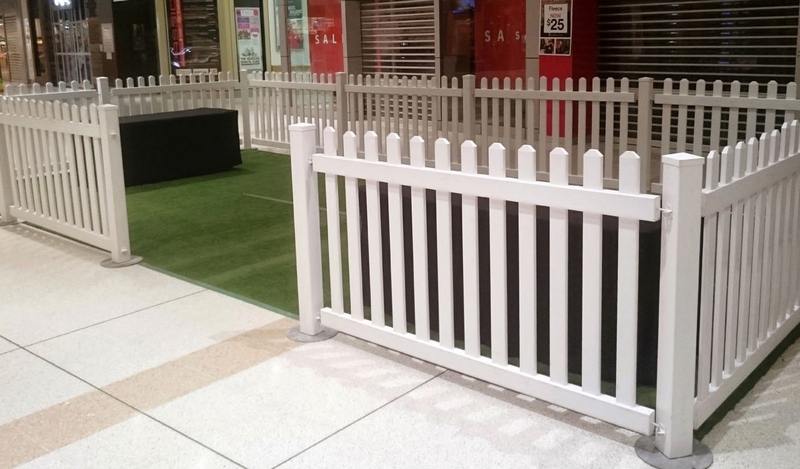 Signature Fencing is the world’s premier portable fencing for special events and crowd control. 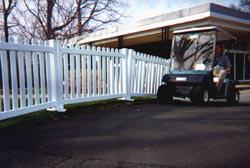 From PGA tournaments to NASCAR tracks, Signature PVC picket fencing has proven itself at thousands of events worldwide. It is the perfect upscale choice to spice up your next event and create the right image for your facility. Signature upscale special event panels are ideal for any facility or event that needs an attractive and cost effective solution for temporary and permanent crowd control. Attractive, classic white, expertly crafted and uniform panels are appealing from all points of view. Signature panels are a welcome alternative to traditional, heavy wood or metal barricades. Freestanding Signature panels delineate traffic flow while enhancing the image of your event and facility. Safe vinyl panels have no rough surfaces, nails, splinters or sharp edges to injure spectators or participants, lowering your event’s liability. Our panels are environmentally safe, recyclable and non-toxic. Durable and maintenance-free PVC panels contain high impact modifiers and superior UV inhibitors which increase their longevity for many years of use. 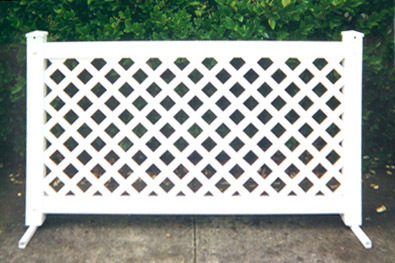 Signature panels never need painting and will not rot, warp, rust or corrode. Panels are easy to keep clean with common household cleaners. 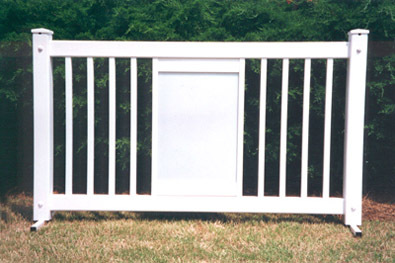 Easy to maneuver, these sturdy fence panels are pre-assembled. Freestanding panels can be deployed in minutes without tools and with a minimum amount of labor. They utilize shock cord connectors hidden under caps. 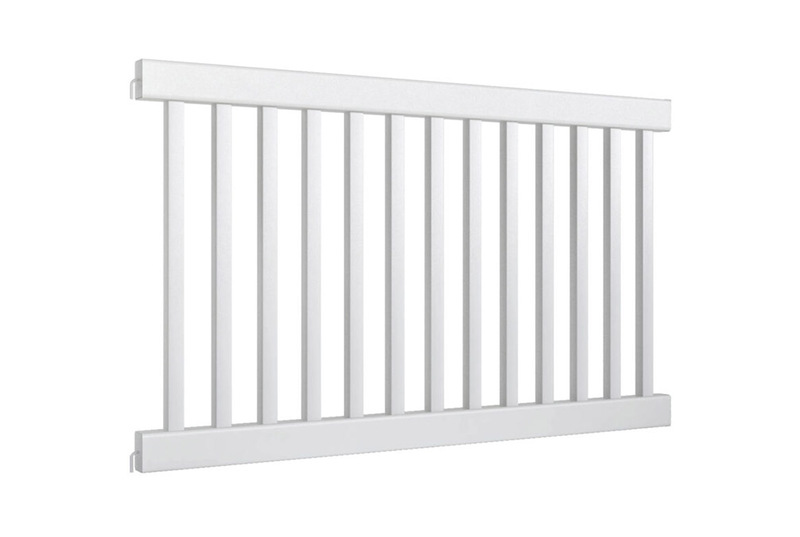 Panels lock together quickly and easily for increased stability and decorative caps are attached to prevent loss during set-up and tear-down. Base legs swivel to fold flat for easy storage and transportation. 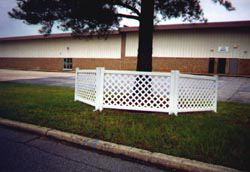 Learn more about the benefits of this high-quality event fencing here. These panels will arrive to you pre-assembled, however it is possible to request that they arrive dis-assembled to save on shipping fees. 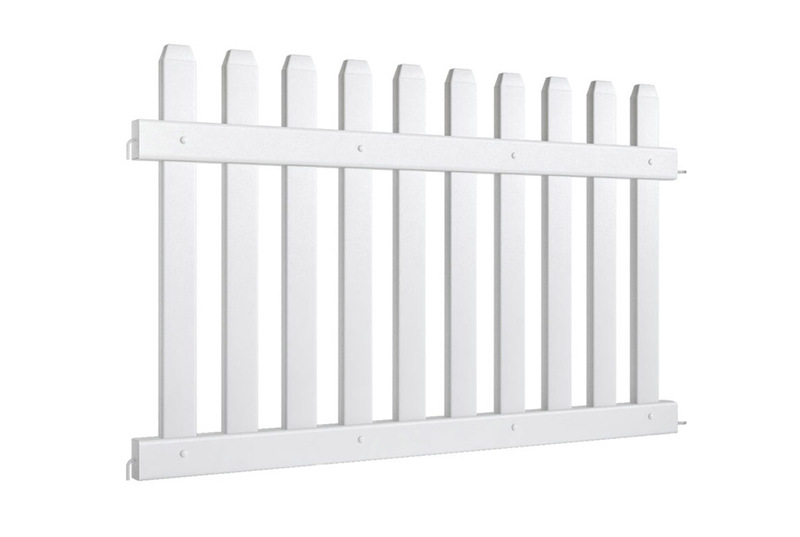 Unlike most fence panels that are tricky and frustrating to put together, Signature Panels can be installed in a few simple steps. View our easy-to-follow installation instructions here.